Our Volunteer Department Vision Statement To connect the community with rewarding volunteer opportunities at Marklund and to support our staff in its mission to make Everyday Life possible for our clients with profound disabilities. Are you looking to make a difference in someone’s life, while adding a new meaning to your own? 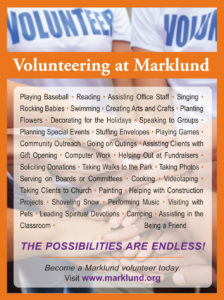 Be a Marklund volunteer. Volunteers are an important part of our service to individuals with developmental disabilities. 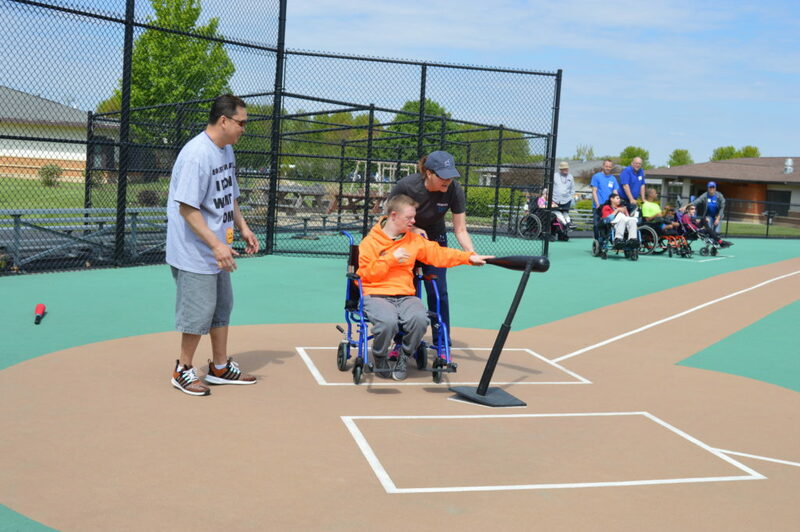 Whether you provide support to clients on site at our Geneva, Elgin and Bloomingdale campuses, help with office duties or work at a fundraising event, you are an integral part of the Marklund team. Through our volunteers, we are able to enhance the care of our clients and students. Volunteers help Marklund make everyday life possible for our clients and students by assisting them with therapeutic, recreational and educational activities, doing art projects, reading a favorite story, or just being a new face to see during the day. They provide many daily life experiences while freeing up staff to provide 24-hour specialized care. Additional volunteer opportunities include: community outing assistants; special events; Speakers Bureau, and support services. All of our volunteers can find a place for themselves, no matter what their interests, where they live or how much time they can donate. 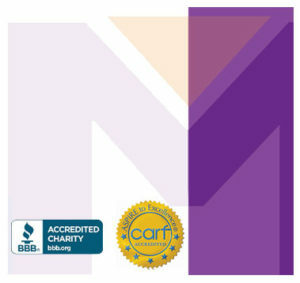 Marklund began with many dedicated and compassionate volunteers helping to care for Mark William Lund, our first client, back in the 1950s, and the many clients since then. If you are interested in volunteering, but are not sure in what capacity, Marklund’s Volunteer Department staff can help you learn about the many options. No matter what your gift, talent or skill…no matter what your age, Marklund’s staff needs you, and the clients need you too.